Nicole fell in love with travel when she was in high school, having traveled overseas with classmates and then subsequently spending 4 months studying abroad. After graduating college, her main vocation as a school counselor has honed her interpersonal and organizational skills, having organized various international education experiences for students to include visits to Japan, Germany, South Africa, and England. Nicole sees the value in being immersed in other people's cultures and always comes back wanting another chance to visit again. She believes everyone should be a citizen full of global knowledge, love, and a desire to experience how we are all connected in some way, no matter where you call home. It’s these skills and outlook that make Nicole such an amazing member of our team! Nicole loves South Africa, and can listen to your travel hopes and help put together a tour that will meet and exceed your expectations! 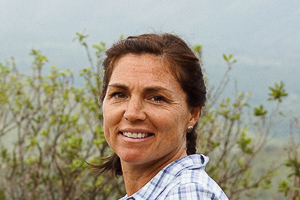 Nicole is based in Northern Texas, USA and is our lead safari coordinator in the central states.